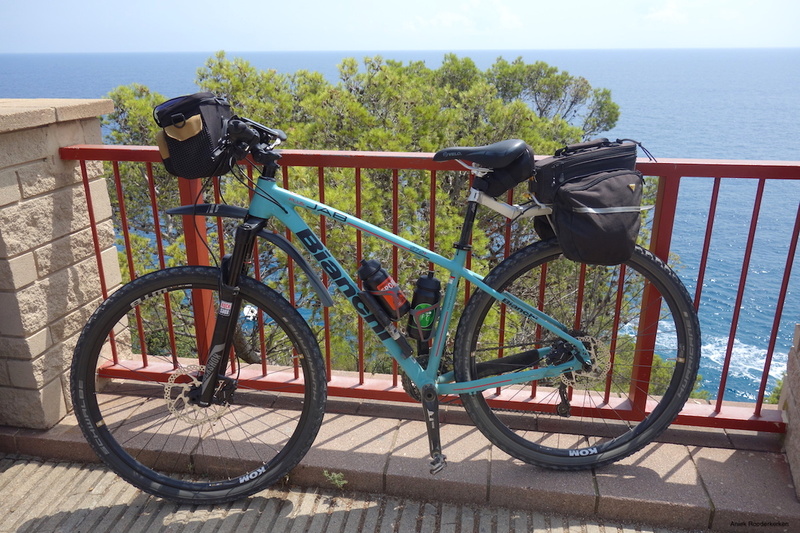 Home Adventure travel	Cycling along the coast of Catalonia, Spain! 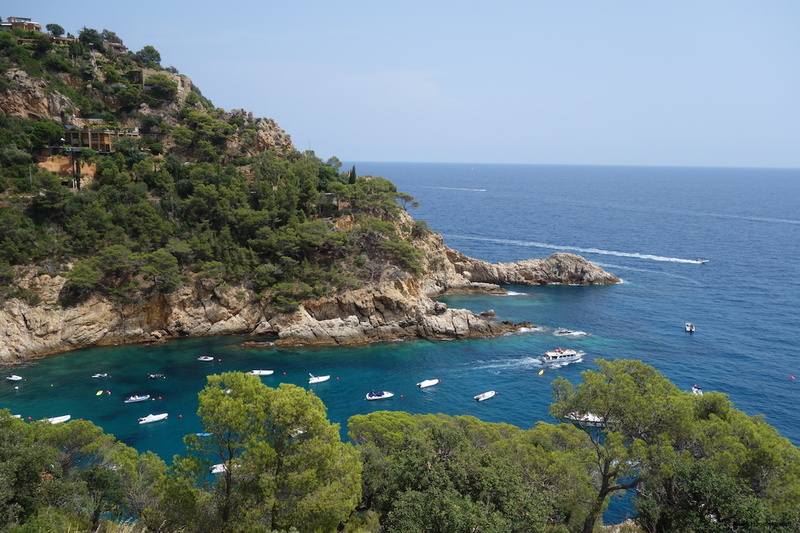 The most beautiful coastline of Catalonia. No, even from Spain! 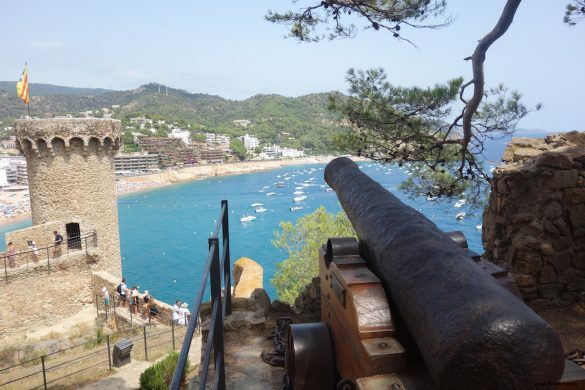 You can find it on the 20 kilometers between Tossa de Mar and Sant Feliú de Guixols. Here, the road runs over the rocks, high above the sea. With every bend in the road there is another viewpoint where you can marvel at the spectacular view over the sea. 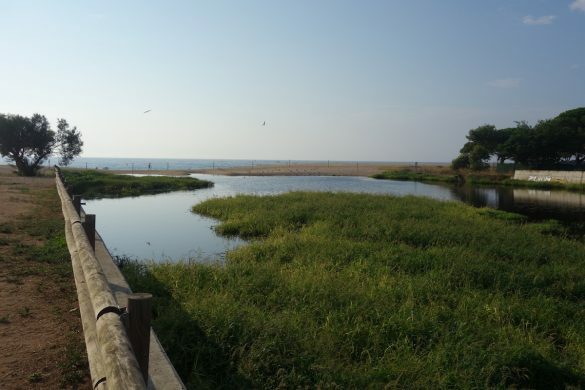 And the best thing is: I am going to cycle along this coastline! Yesterday I cycled from Figueres to Girona, after visiting the Dalí Museum in Figueres. Today and tomorrow the tour continues, towards the sea. Because it turns out that at cycling distance from Girona there is perhaps the most beautiful coastline in Spain! The route I cycle with fietseningirona.nl takes me from Girona to Tossa de Mar, and then I follow the coast to Sant Feliú de Guixols. 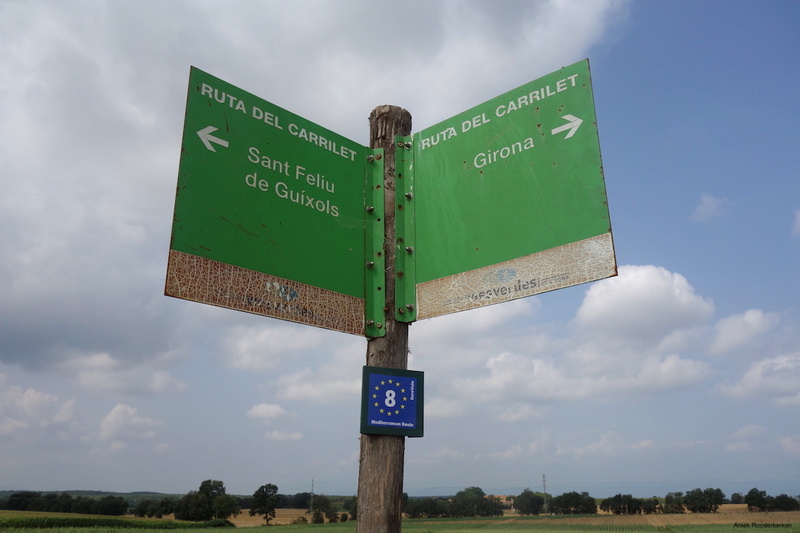 From Girona I follow the first 20 kilometers of the Ruta del Carrilet. This is the old railway where once a train ran between Girona and San Feliú. This route is one of the Vías Verdes, or the green-ways. These cycling and hiking routes have been constructed along the old railway lines that are no longer in use and run through the Catalan province of Girona. That means largely flat routes with quite a few viaducts and tunnels. 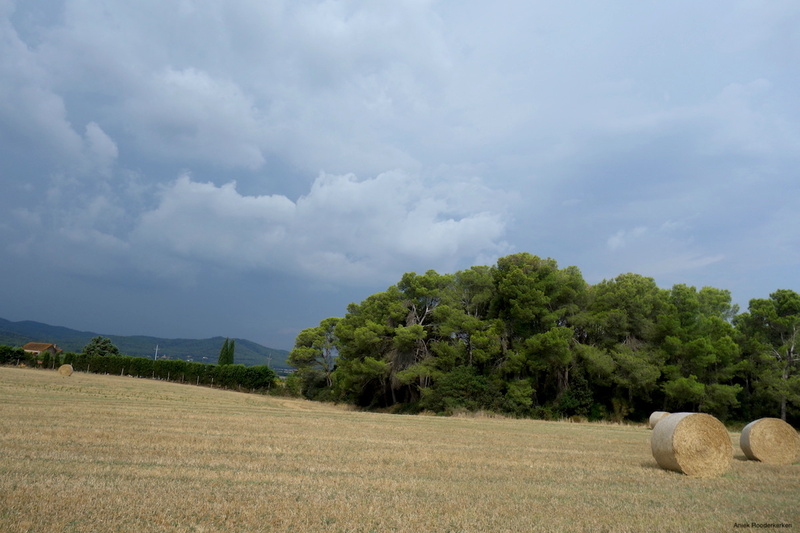 In the hinterland of Girona I cycle through a vast landscape full of rolling hills. Sometimes I can see the tops of the Pyrenees in the distance. 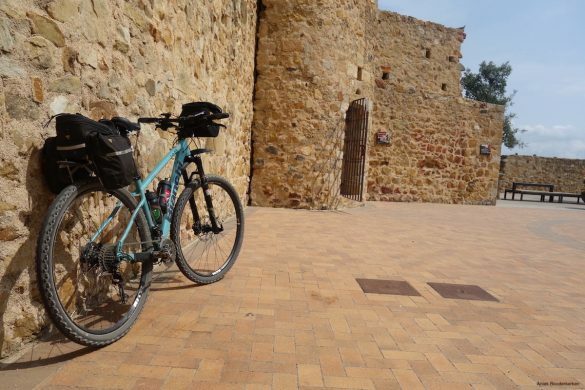 Easy touring on unpaved paths and through small medieval villages, one of them Llagostera. The cobblestones to the highest point of the village can hardly conceal the steep climb. 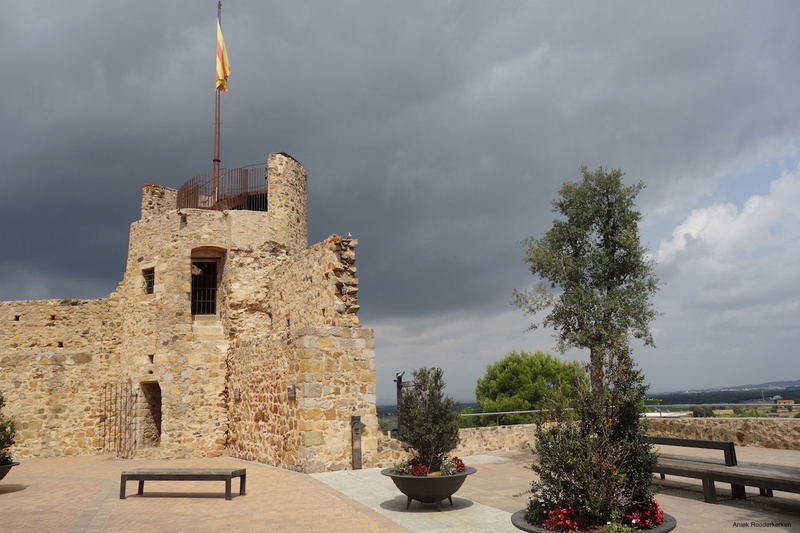 Arrived at the highest point in town I climb the Torre de la Presó at the Paca del Castell. It is the old prison tower, a remnant of the old city walls of Llagostera. From the top of the tower you have a beautiful view of the surroundings. After Llagostera I cycle via a tarmac road over the hillside. Then the Mediterranean Sea turns up and I see the sparkling blue sea water in the distance. After a long descent I arrive in Tossa de Mar. Dutch seems to be the second language here and it is very busy. 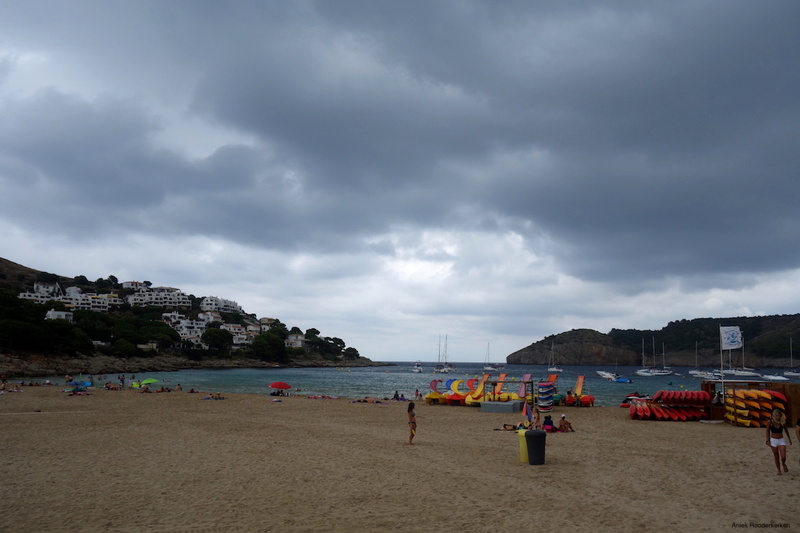 It remains the Costa Brava, after all. Slaloming around the tourists I cycle to the castle of Tossa de Mar. I look out over the bay and in the direction of the promised beautiful coastal road. 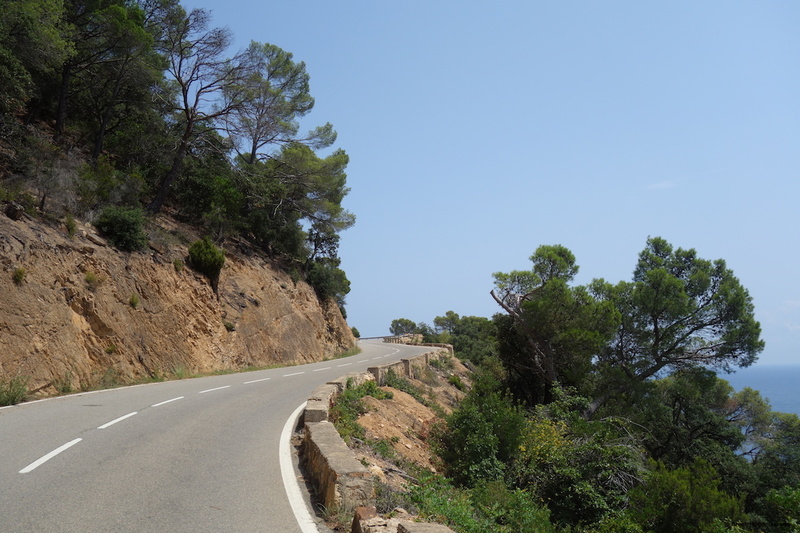 After Tossa de Mar for 20 kilometers I follow the coastal road that winds over the rocks. This is really the most beautiful coastal road in Catalonia! It seems that after every turn of the road I see a small bay lying between the rocks. Everywhere you see small signs that show you which path you have to take to descend to the sea. I keep cycling high on the rocks, but I can not resist stopping at every view point. Far below me the sea and around me the raw coastline shines. Cycling along the most beautiful coast of Catalonia, Spain! After the last kilometers of coastal road I arrive in Sant Feliu de Guíxols. I cycle past the old Benedictine monastery and towards the old Shipwreck Rescue Shelter. 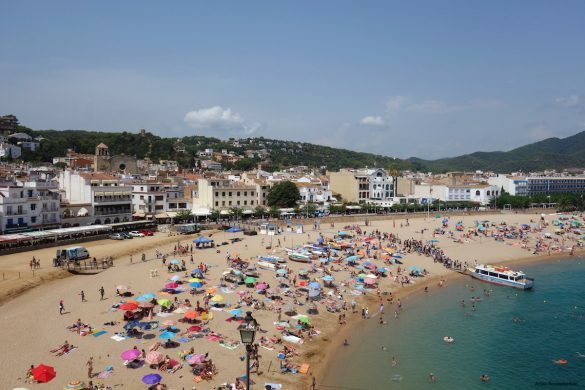 Sant Feliu is a true Catalan seaside resort. Even though it is on the Costa Brava, you will not encounter real mass hotels here. The port city is located on a bay between the rugged rocks and directly on the city beach. But the beach Cala Maset, a minute or 10 from the center, according to the locals is really the perfect place for a refreshing dive. 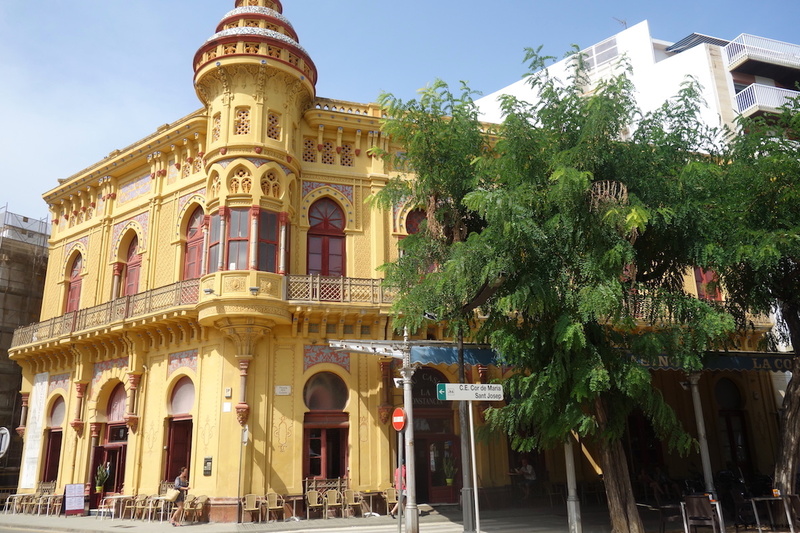 Quickly I stole my bike at Hotel Hostal del Sol, where I will spend the night. The pool is also tempting, but first I take a dip in the Mediterranean Sea. I that have deserved that after todays cycling! “Are you cycling all the way to L’Escala?”, the hotel staff asks me at breakfast, “Than have some extra to eat.” Promptly I am directed towards the breakfast buffet again. Yesterday they asked all about about the route I am cycling. And my mountain bike was immediately safely stored. It is clear that this is a bicycle-friendly hotel. I got up early today so I’m back on the bike before it’s really hot outside. At the supermarket near the hotel I bought some food and my water bottles are filled again. 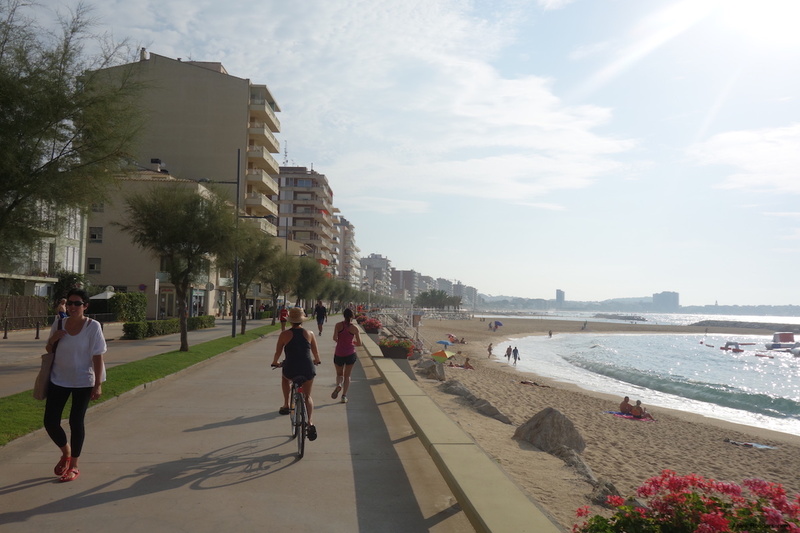 The first part of the route I follow the boulevards of Sant Feliú, Platja d’Aro and Palamós. I am not the only one who starts the day with some exercise. The boulevard is already filled with people cycling, jogging and on the beach I see a few yoga groups. In the early morning sun I cycle past small bars where the day starts with a cup of coffee. In Sant Antoni de Calonge I have to choose. Am I going back inland, to the castle of Calonge and to Peratallada, the most beautiful medieval village in the area? 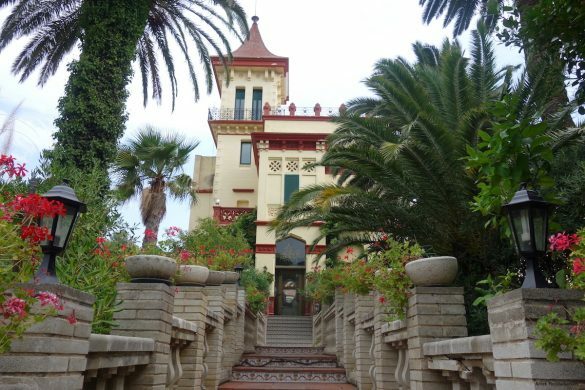 Or do I stay on the coast and cycle through the port of Palamós and over the old train route to Callela de Palafrugell? It will be the first. The route brings me back to a beautiful bike route. Now that I go back inland, the route becomes more hilly. 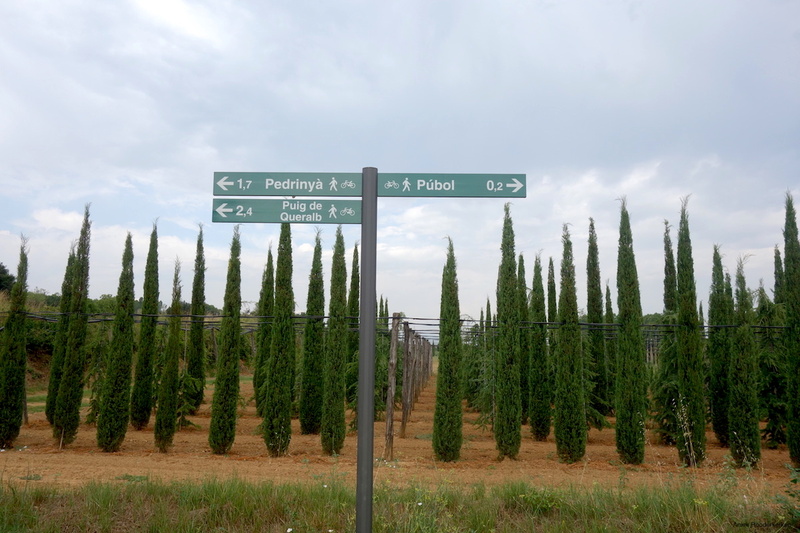 Through pine forests and over the now familiar dirt roads I bike through the Catalan inland. In the distance, Pals is already looming, a small medieval town perched on a hill. The route takes me to the highest point of the town, on swaying roads full of cobblestones. Once upstairs, the view over the area is beautiful. The vast fields and forests under a threatening sky. After the heat of the past few days, I feel that today there is storm in the air. I cycle along a ribbon of medieval villages: Fontclara, Palau-Sator, Ullastret, Casavells, Corca, Monells and Púbol. Just before Fontclara the air starts to rumble and the hills are shrouded in the dark. Just before I cycle into the village, the thunderstorm is right above me. I sprint to the village and hide in an abandoned barn. Just as soon as the thunderstorm has come, he is gone too. When the sun breaks through, it is time for a coffee stop at a cafe. The regular cola and espresso are put in front of me while I take a look at the last part of the route. After Monells the climbing kilometers of the day come up: undulating with occasional steeper stretches. 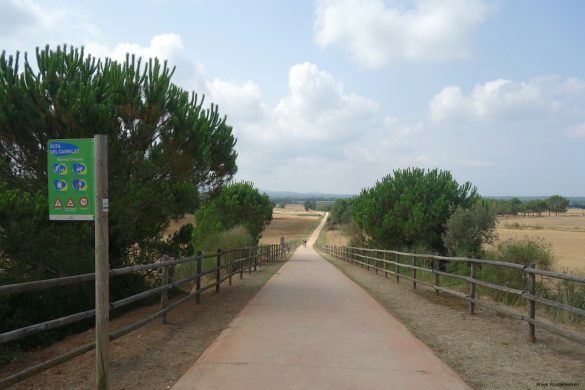 The road takes me to Púbol where the castle of Gala is located. This is the castle that the artist Dáli (whose museum I visited earlier) built for his wife Gala. The last part of the route takes me off-road, and partly on a mountain bike route, to L’Escala. When I arrive at the coastal village I see a threatening cloud in the bay. I find a restaurant where I can eat a menú del día, a late lunch to finish my bike ride with. A little later all hell breaks loose: rolling thunderstorms, hailstones fall from the sky and you can not see anything anymore because of the rain. But I am inside and the following days will follow even more of this kind of beautiful bike routes! Do you want to cycle this route too? Then go cycling in Girona with fietseningirona.nl. 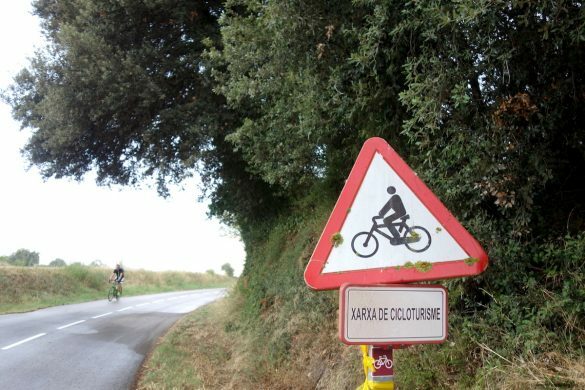 During a 5 or 7-day cycling tour you will discover the landscapes around the city of Girona and the Costa Brava. You cycle along perhaps one of the most beautiful coastlines in Spain, and then cycle back to Girona via Figueres. 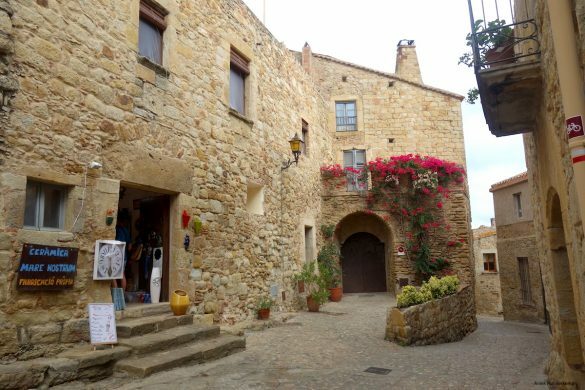 A versatile tour, along sand paths in the woods, along the rugged coastline, via hidden waterfalls, through medieval villages and past a number of Dali museums. The 5 or 7 stages make a wonderful trip! I was in Girona at the invitation of fietseningirona.nl. They also arranged the beautiful Bianchi bike for me. The Dutch organization Fietsen in Girona (Cycling in Girona) organizes bicycle trips, with luggage transport and, if necessary, technical assistance along the way. And because they know all the beautiful places in and around Girona, they create beautiful routes for you! They can also arrange a one-day route, for example with a visit to the museum in Figueres and a beautiful cycle route back to Girona.